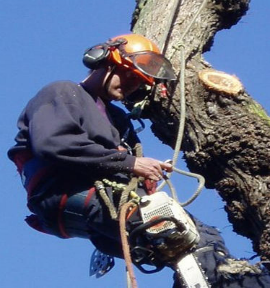 Houston TX Arborist is the right company to call on for any of your tree removal needs. We have thousands of tree removals logged up over the decades and have fine-tuned the process so we can cater it, safely and efficiently, to any situation you face. This is an especially helpful time to call us because with our free estimate you will know and understand exactly what work is involved and your cost with no surprises later! A dead or dangerous tree around your home is bad news and should be dealt with quickly. Again, prevention in this case is definitely worth a pound of cure. If you suspect there is a dangerous tree in your yard, call Houston Arborist first! If you desire for the tree to be saved, one of our arborists will inspect the tree and see if saving it is a viable option. During this visual inspection, he will use specialized equipment that even allows the inside of a tree to be "measured" to indicate hollowness or weakened areas. 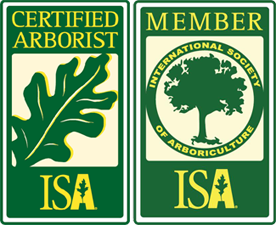 If the only safe option is removal, Houston TX Arborist can do it as stated: safely and efficiently. Another scenario is replacing an existing tree with another species. Occasionally, trees are removed because impending construction is going up, or there is an issue involving utility lines. Whatever your particular circumstance, Houston Arborists are the professionals you want on the job! Trees can be removed with or without heavy equipment. Generally, heavy equipment is used when the tree is very large, in close proximity to other trees or structures, or in very poor shape, making climbing dangerous. The method of removal without the use of this type of equipment involves the cutter ascending the tree, removing some branches as he goes up. Then, the remaining branches are removed on the descent. When the tree is a few feet above the ground, it is felled completely. This way, of course, is the simplest and least costly method. However, we put safety of your family, property, and our arborists and certified tree care workers above all else and use the method which is determined to be safest. If a bucket truck crane, or other equipment is brought in, all of those details will be brought to your attention, explained, and clearly understood before you sign off on any work. Regardless, the best prices and most skilled work is what you can rely on with Houston Arborist. There is no such thing as "one price fits all" since each circumstance is completely different, with different variables. Houston TX Arborist will never perform shoddy, careless workmanship. We proudly make our free estimate available so you will have complete disclosure and knowledge ahead of time. Also discussed during your free estimate is what will be included in your removal. For instance, will you want the stumps ground down and/or removed entirely? Would you like any wood saved for cooking or firewood? We will cover all aspects of your job, but never hesitate to ask if a question comes to mind. Our goal from the start is to keep our clients for life, so we want every relationship to begin with trust and confidence. 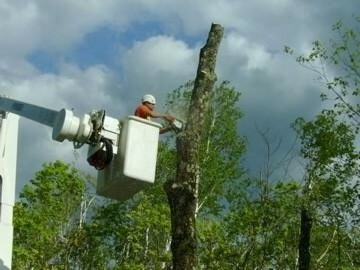 Tree removal is far and away the most dangerous aspect of tree service. Houston, Texas Arborist will perform the job and you can relax with complete peace of mind knowing that your trees are in the best hands available!